Although effective, eyelid surgery alone cannot always address all the concerns of aging eyes. Thankfully, Guelph Facial Plastics has expert solutions to help patients achieve total eye rejuvenation. Blepharoplasty, more commonly known as eyelid surgery, is a corrective procedure that can address a multitude of eye concerns. Whether for aesthetic (sagging eyelids, dark circles under the eyes, chronic puffiness) or functional (drooping skin causing vision problems) purposes, thousands of Canadians have experienced positive results through blepharoplasty. However, blepharoplasty alone cannot always achieve each patient’s desired outcome. In these cases, Dr. Brace can provide additional proven solutions to ensure aesthetic goals are met. Why take other steps after eyelid surgery? To understand the answer to this question, we must look at what eyelid surgery aims to do. Blepharoplasty’s primary focus is to enhance both the upper and lower eyelids, to remove excess skin, to move fat, and to create a more harmonious appearance with the surrounding surface. However, other facial issues that affect the eyes—such as wrinkles in the brow and forehead, crows feet or skin discolouration—cannot be corrected through this surgery. In these situations, many of our patients choose to augment their operation with additional procedures to create a more balanced outcome. What other steps can be taken? 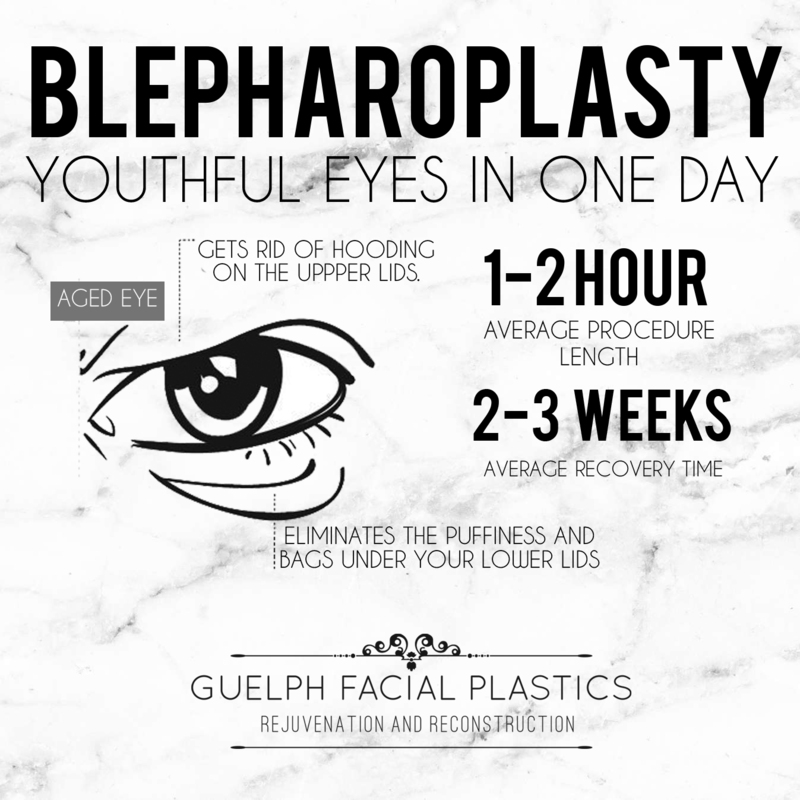 Under the experienced hand of Dr. Brace, Guelph Facial Plastics offers a variety of cosmetic injectables to smooth skin around the eye contour, pre or post blepharoplasty. With a collection of hyaluronic acid fillers from world-renowned brands Restylane and Juvederm, the natural ageing process of the eye is managed. The fillers are injected underneath the surface of the skin, instantly adding volume and creating a smoother surface. Since hyaluronic acid is a substance found naturally within the body, it safely breaks down over time. Depending on the type of filler used, results can last anywhere from six months to two years. An alternative to filler is using your own body fat, harvested from the abdomen or thigh, to fill the hollows under the eyes. This technique can produce permanent natural results. Botox and Dysport injections are also useful after blepharoplasty, as they can further lift the brow and relax fine lines at the corners of the eyes. Creases in the forehead, around the eyebrows and extra eye wrinkles, are effectively smoothed, and facial balance restored. Effects typically last an average of 3 months, making this a tremendous low-commitment option. Our advanced CO2RE laser treatments, also offer a great non-surgical solution post eyelid surgery. As the gold standard for skin resurfacing, the fractional CO2 laser can precisely target and tighten both the superficial and deep layers of the skin. Dr. Brace often recommends this treatment for the lower eyelid. Chemical peels are another great option if you have a concern with skin discolouration under the eye. Dr. Brace performs all chemical peels at Guelph Facial Plastics. With years of experience, Dr. Brace knows how to customize your chemical peel for optimal results and minimal risk. Chemical peels can tighten the eyelid skin in as little as one treatment depending on the strength of the peel and the patient’s skin type. To learn more, visit our chemical peels service page. Lastly, a nightly eye cream is a must! Did you know that research shows you should start using an eye cream in your 20’s?? The physician-grade eye cream is an obvious choice to help maintain your results and to help prevent the effects of ageing around your eyes. 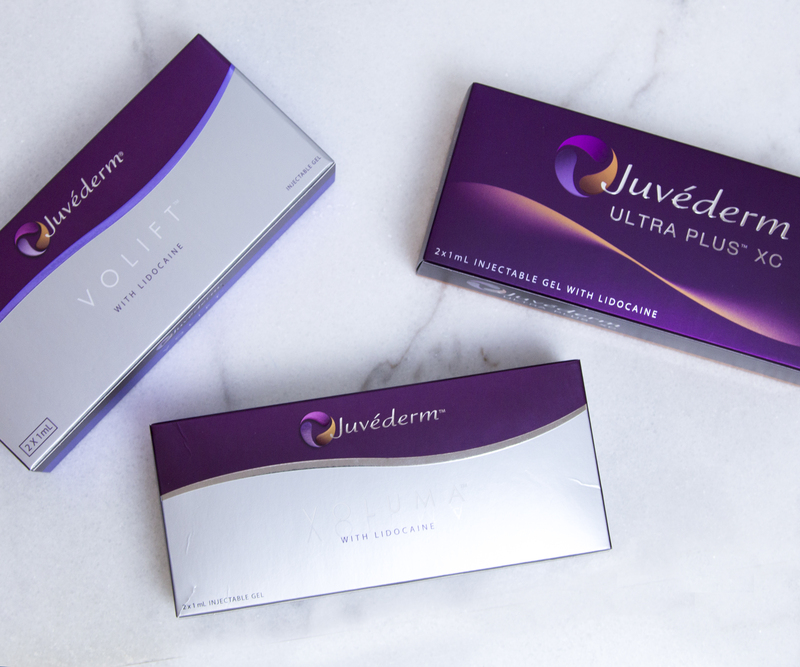 At Guelph Facial Plastics, we trust the expert formulas of SkinMedica. Visit us in the clinic to shop our line and receive expert advice. Ongoing treatments can be discussed with Dr. Brace before or after blepharoplasty surgery. Many of our patients have greatly benefited from these extra steps. For more information on blepharoplasty or our cosmetic injectables, book your consultation with Dr. Brace today.